University of California scientists have learned that tropical montane cloud forest trees actually drink water through their leaves in defiance of conventional scientific wisdom that says trees take in moisture only through their roots. The trees may be in for a difficult time, however, as the clouds they now drink from are drying up due to climate change. Changes in cloud cover have already been correlated to declines and disappearances of cloud forest animal populations, such as frogs and salamanders. The trees may be the next to go. 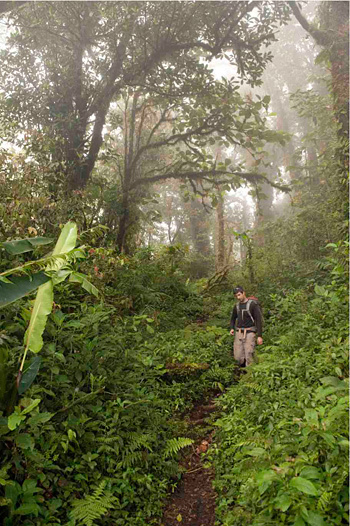 Researchers have learned that cloud forest trees take in water through their leaves. With climate change, their source of water may be drying up. Full details from the UC Berkeley News Center.